Relive your childhood memories. 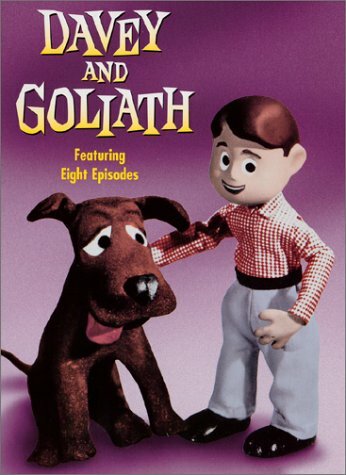 Like Big Wheels, superballs and bell bottoms, "Davey and Goliath," the stop-motion, three-dimensional animated television program about a boy and his dog, was a much-cherished part of life for many children growing up in the '60s and '70s. Millions of parents and children embraced the lovable duo, their family and friends in warm and entertaining adventures every week from 1962 to 1977. Contains 8 14-minute episodes: Dog House Dream House, Editor-in-Chief, Ready or Not, Chicken, Lemonade Stand, Shoemaker, Good Neighbor, Bully Up a Tree.